Estonia's Jewish community voices concern over unprecedented move to include far-right party in the country's next government. Estonia's Jewish community on Monday voiced concern over an unprecedented move to include a far-right party in the next government of the Baltic EU state, AFP reports. Outgoing center-left prime minister Juri Ratas launched coalition talks last week with the far-right EKRE party after its support surged in a recent general election. The move by Ratas, which has been roundly criticized even from within his own party, is aimed at preventing the winning liberal Reform from forming a government. EKRE leader Mart Helme has publicly expressed xenophobic, sexist and homophobic views, and the members of his party have included people convicted of violent crimes and Nazi sympathizers, noted AFP. "Many statements of this party (EKRE) are antagonistic towards national minorities and aim at dividing society into insiders and outsiders. This can only cause frustration and regret," the Jewish Community of Estonia said in a statement on Monday. The statement of concern followed Saturday’s incident in which Estonia’s chief rabbi and two of his children were accosted on the street on their way to synagogue by a man who shouted anti-Semitic insults at them. Rabbi Shmuel Kot said the man shouted “Sieg Heil” and “Heil Hitler” at him on Saturday while the rabbi was walking to synagogue with two of his children, aged 7 and 12. Rabbi Kot filed a complaint with police, who used security camera and other footage to identity a suspect and arrest him ahead of an indictment. The Jewish community also deplored the rare incident of anti-Semitism as "unacceptable", according to AFP. Jewish community spokesman Gennadi Gramberg said this was the first serious incident of anti-Semitism for the Israeli-born rabbi since he moved to Estonia in 2000. 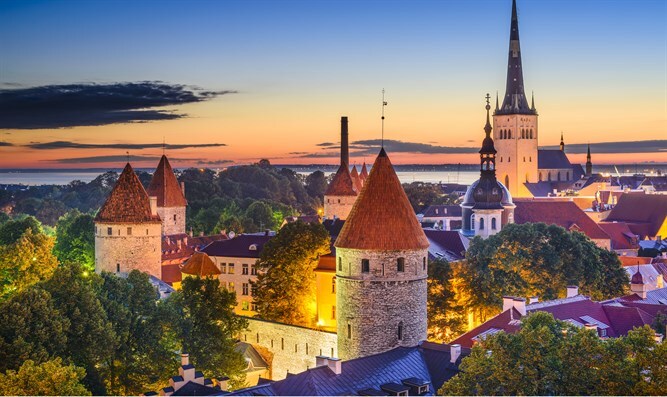 There are about 1,950 Jews living in Estonia. Police in Tallinn are also investigating a separate incident which saw swastikas daubed in green paint on the facade of Ratas's Center party headquarters in the Estonian capital over the weekend. The incident is seen as a reaction to the party's ongoing coalition talks with the EKRE, which nearly tripled its seats in the March 3 general election.